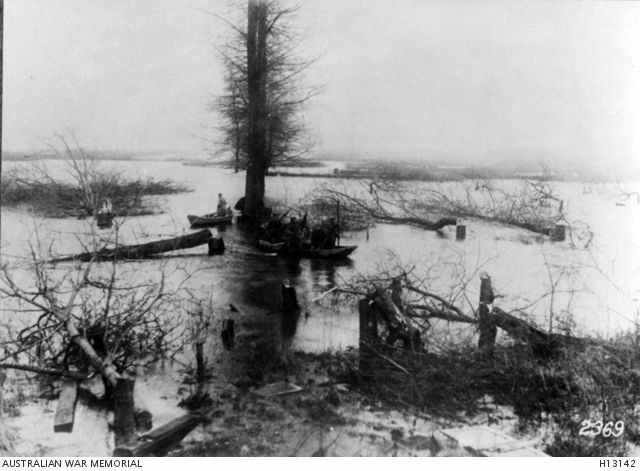 French defeat the Germans between St. Quentin and La Fère; Germans flood the Oise Valley; La Fère under water; further French advance on the Crozat Canal. Fighting on the British front between Arras and the Bapaume-Cambrai road. General Alexeieff reports great German concentration on Riga-Dvinsk front. Rumanians lose positions south of the Trotus Valley. Germans announce return of raider Möwe to port, and names of nine more victims. General Russian offensive from Gulf of Riga to south of Dvinsk; progress at Lake Narotch, east of Vilna. German-Bulgar outposts driven in by the French at Matchukovo, north of Salonika. General Smuts defeats the Germans in East Africa near Kahe and pursues them along the Tanga Railway. Austro-German and Bulgarian forces in touch at Liubichevatz; Austro-Germans within 20 miles of Kragujevatz; Serbians retiring along the line Zaitchar-Kragujevatz. War Office announces torpedoing of British transport Marquette in the Aegean Sea. Slight German progress in the Dvinsk region. Bulgaria at War with Serbia; war declared by Great Britain. Pozarevatz stormed and taken by the Austro-German forces south of the Danube. Russian success at Vessolovo, near Dvinsk. Fighting on the Strypa at Hajvoronka; Germans driven across the river. German progress south of Belgrade; Pozarevatz attacked. Greek Government declines to assist Serbia. French progress in Champagne; Russians attack on the line from Dvinsk to Smorgon. Italian success in the Carnia. Miss Edith Cavell shot by order of German Court-martial in Brussels for harbouring Allied soldiers and helping them to escape.